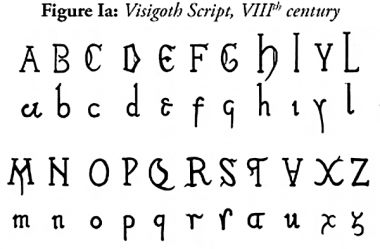 Estudo de "gotica" + "uncial" a simular influência Árabe. Matriz média de 6x6 blocos nas minusculas. Tem acentuação portuguesa. Study of "Black letter" + "uncial" with some Arab flavour. Matrix 6x6 pixel (average in lowercase) with Portuguese accent. Info: Created on 16th December 2012 . Last edited on 14th January 2013. Blackletter? Vaguely. Uncial? Hardly. Arabic flavour: not a trace of it. It is an interesting experiment, nevertheless. Some letters need further polishing. Congratulations! FontStruct Staff have deemed your FontStruction worthy of special mention. “Mossarabe” is now a Top Pick. Superb fontstruct entry, with very stylish, unique taste. Wow, cool experiments you had! I like the way how at first sight it looks all over the place but then its ornaments and the letter forms seem so consistent. This is a very original typeface. A flavour of the inspiration in a Iberic document. Great, just what I was looking for. Thks!